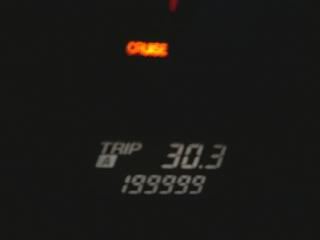 Bought it new with 13 miles on the odometer. Stock engine except for Sohn Adapter, Mazsport Ignition Solution, and the Mazmart Re-Medy water pump (see below). I keep the oil topped off at the "full" mark at all times! I once got slightly over 50000 miles on one set of Goodyear F1 GS-D3, but also got two flat tires (fronts) within 15 minutes of each other at the end of their lives. Awesome thanks. How often did you rev out the engine, and to what visual RPM? There is hope!! Hahaha.... I've been reading more doom and gloom threads recently. +1 on the achievement and for the thoroughness of your reporting! this is awesome news! Though, I think the reason for this success is mainly due to the 90% highway driving. Either way, hope this removes some doubt from potential/ pessimistic 8'ers! WOW, congrats Elf this is awesome! For those who haven't seen Elf's car, it looks AMAZING. 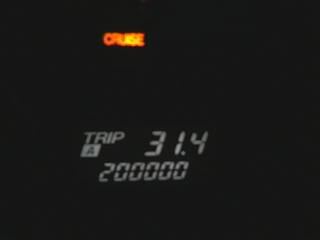 You would never imagine it had anything more then 30,000 miles, let alone having cracked the 200k mark. I believe the car has also seen a few track days here and there so that again speaks to the potential of this motor. Can't wait to get this car back on the dyno next month. Congratulations Elf for setting such a longevity record. Congrats! This would be a first as far as I know. Although I must admit I kind of don't believe you But if it really is true then that is awesome! Last edited by 9krpmrx8; 01-18-2011 at 11:41 AM. I see Elf every year that dyno day and my first question to him is always, "So, how many miles on that beast now?" I knew he'd be close to the 200,000 mile mark come dyno time but I didn't think he'd have hit the mark this quick. Awesome, awesome accomplishment. Oh, and +1 to sending the pic to Mazda, you should draft a quick letter to them with a picture of the car and the odometer, I'm sure they'd send you something cool. No doubt. Start and stop driving is the hardest on any vehicle, rotary or not. nice job man ! 200k w00t ! I'm looking forward to wrapping it out on the dyno next month. At least once a day, til it beeps (~8.5K), getting on the highway on ramps. Enjoyed the write up. Nice to see the maintenance plan works. Any change in consumption thereafter? 'Grats on the accomplishment... any compression numbers? I tend to agree with you on the highway driving --- I think stop-and-go traffic, especially in the hot and dry regions (southwest U.S.), is a death sentence for this engine. Last edited by elf; 01-18-2011 at 02:48 PM. Dyno Day(s)!!!! Hopefully I'll get the BHR ignition installed before then. I who is the closest one to your 200k mark.